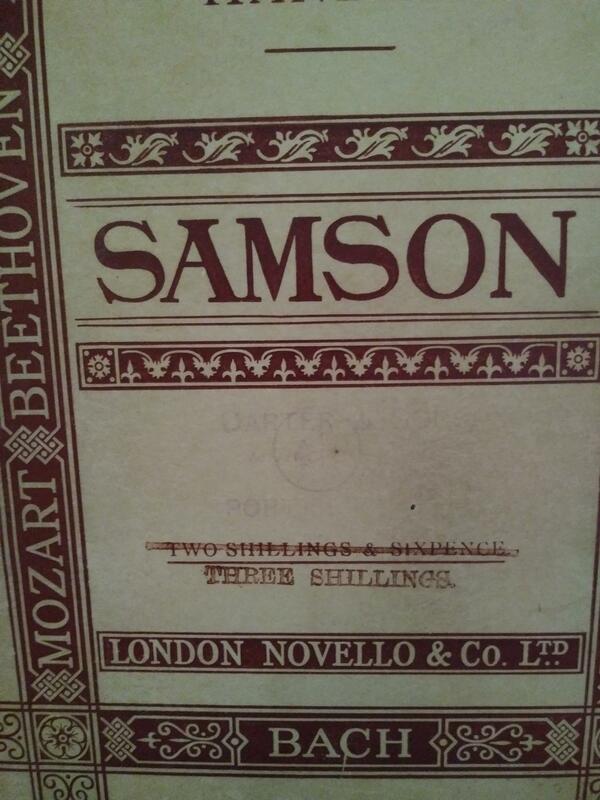 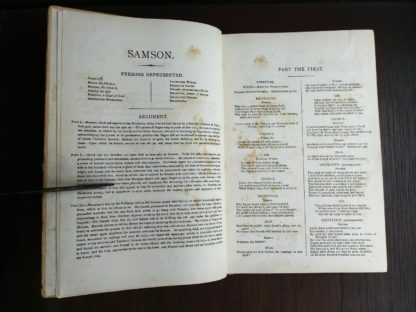 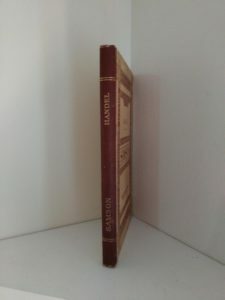 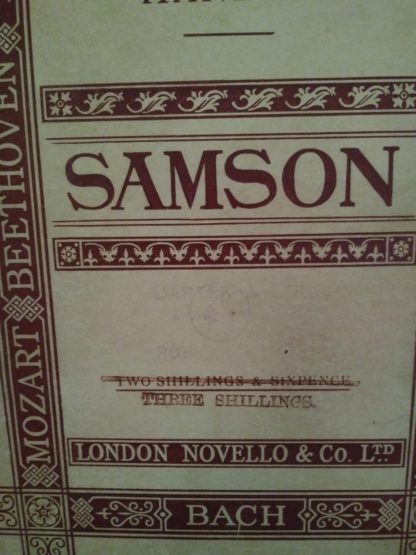 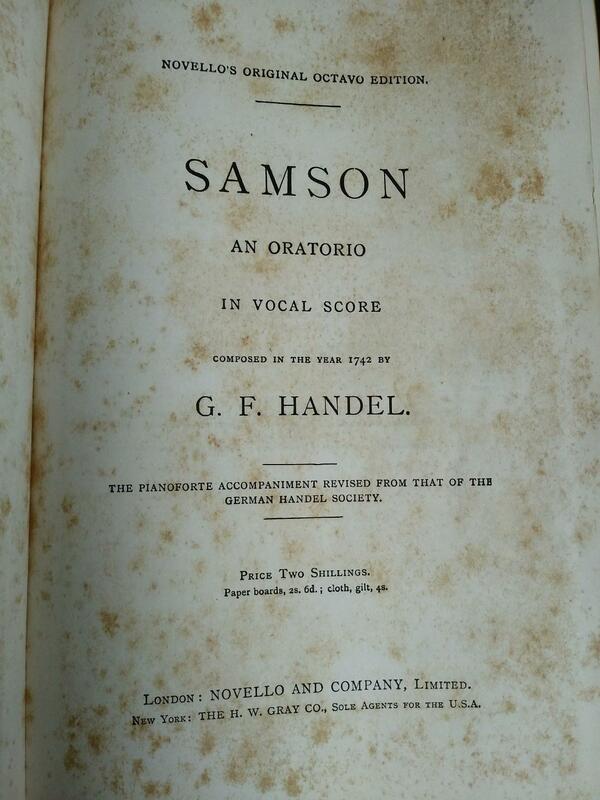 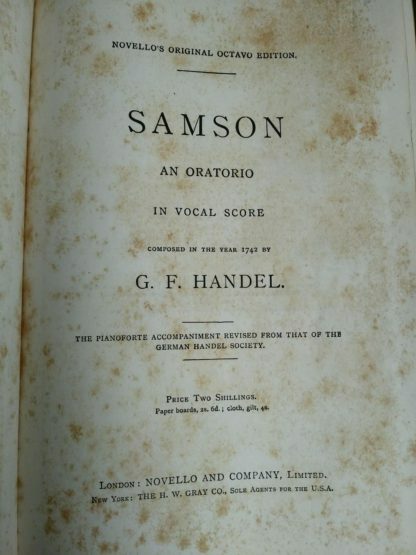 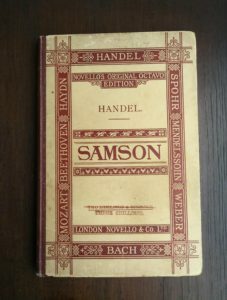 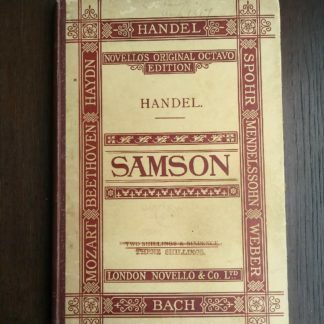 Full title: Samson, An Oratorio in Vocal Score Composed in the year 1742 by G. F. Handel. 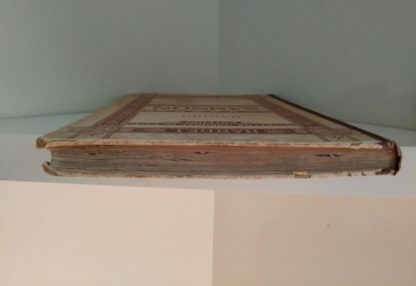 I actually don’t know the date of the actual printing because I cannot see one listed anywhere. 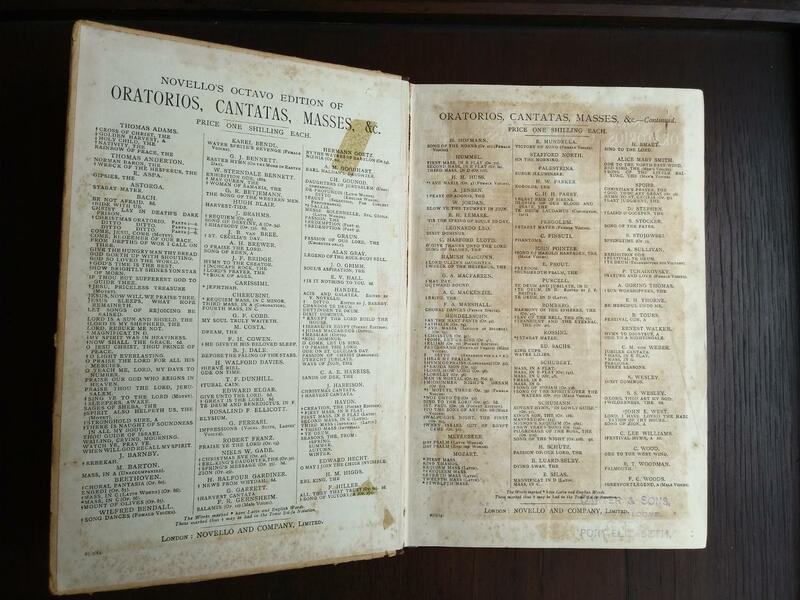 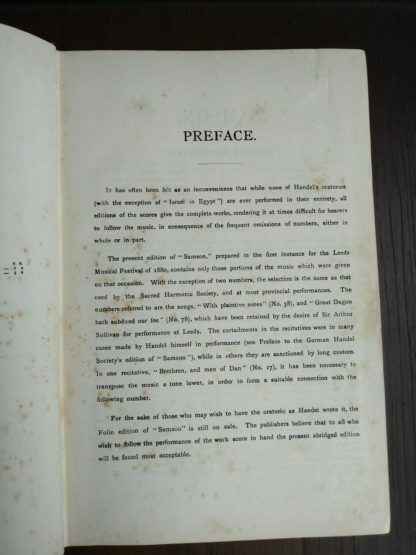 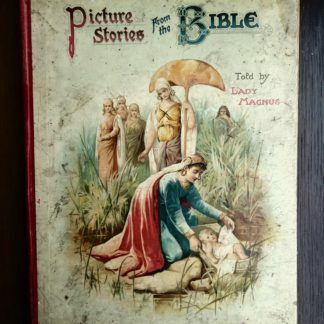 What I can decipher is that it is older than 1900 which is evident from the type of print press used. 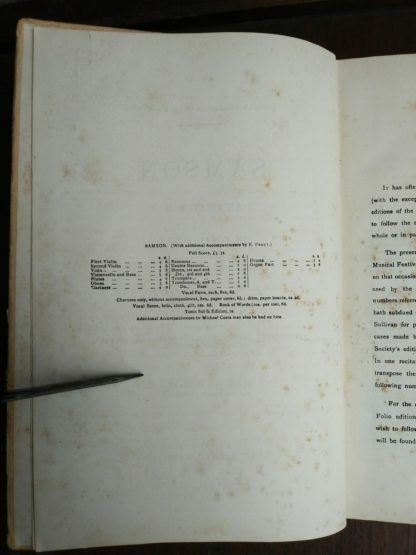 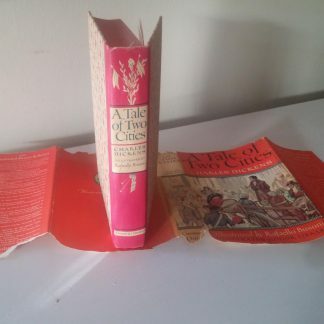 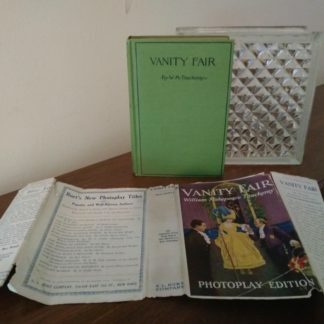 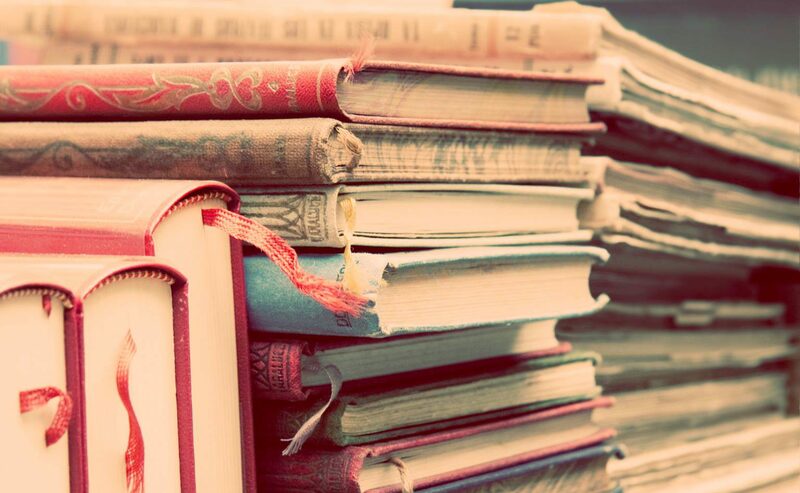 All pages are present. 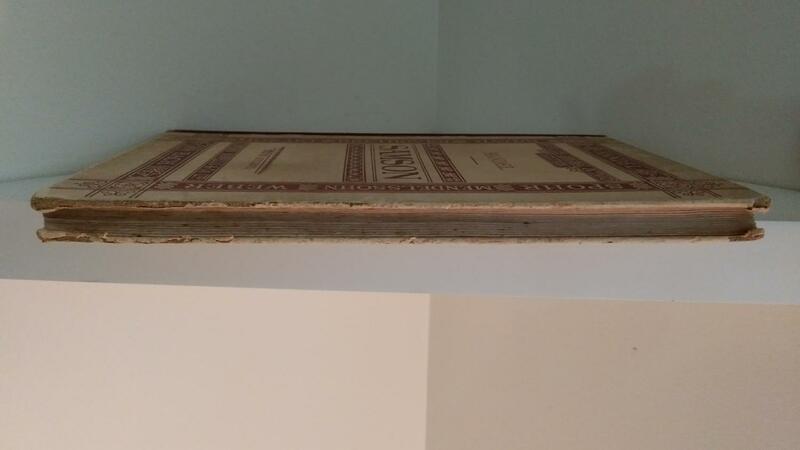 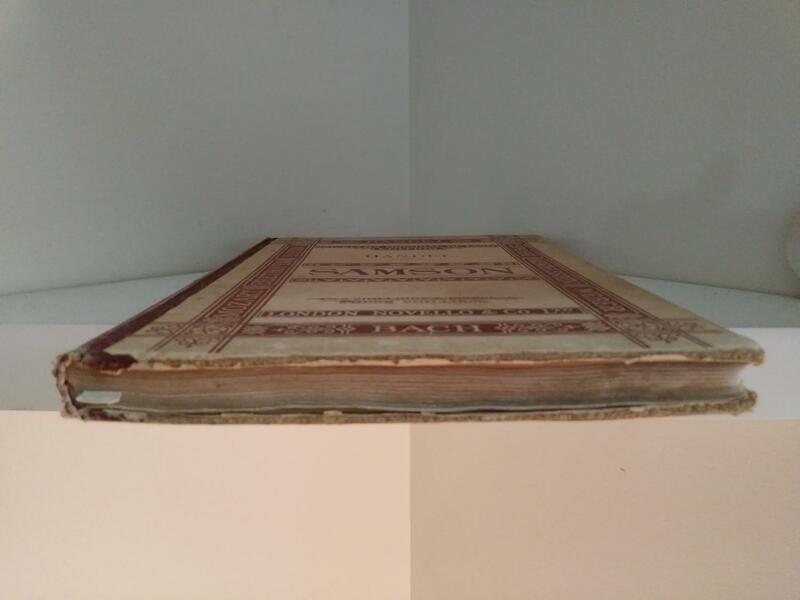 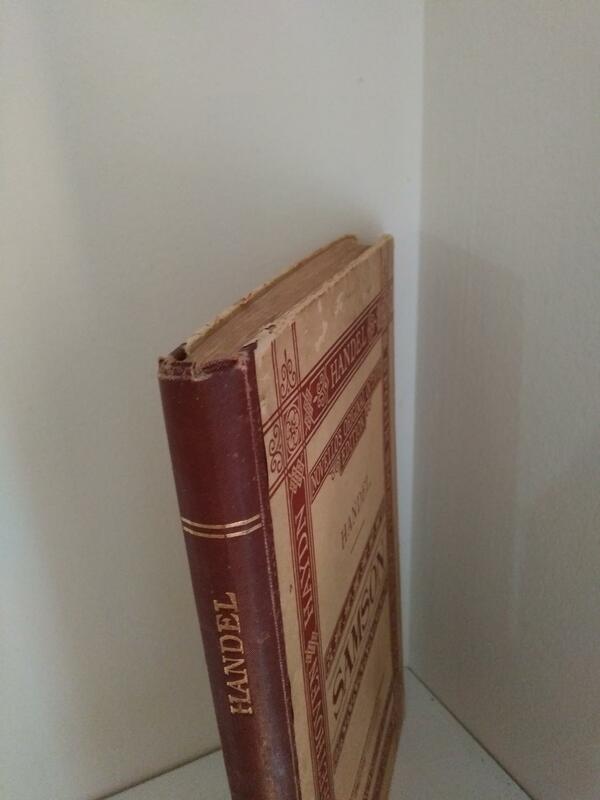 There is wear, as expected due to its age, but nothing is falling out. 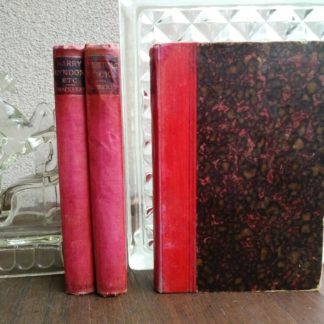 It is hard to explain the exact condition due to it being over 100 years old and so I posted many pictures. 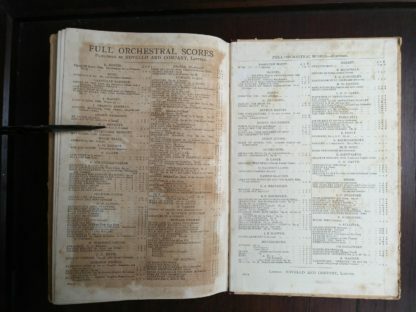 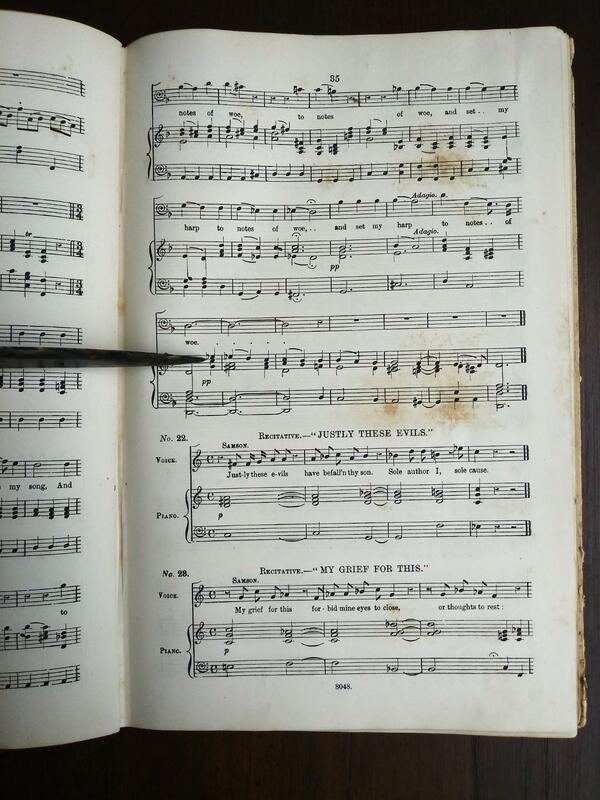 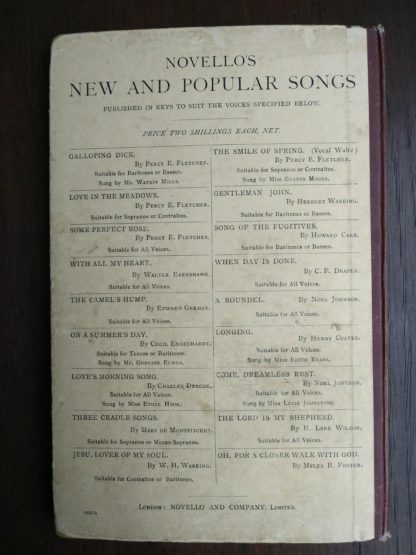 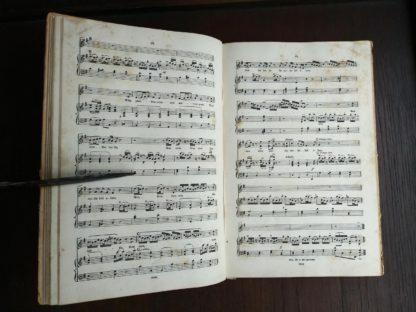 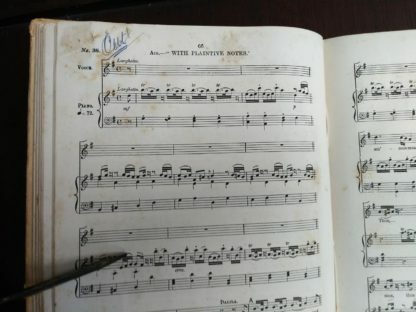 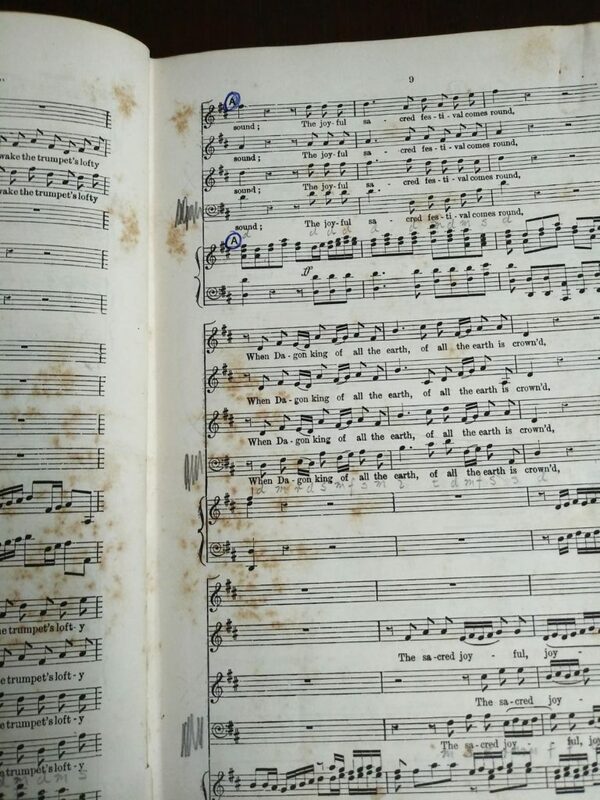 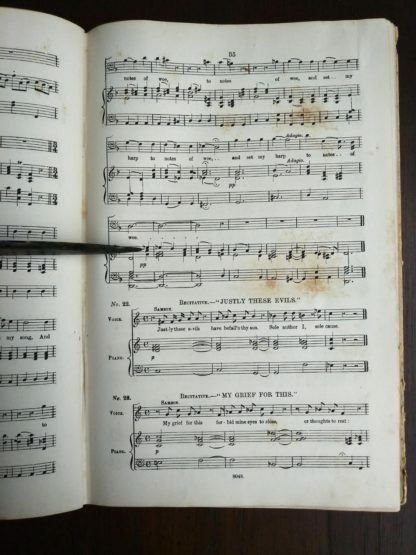 Some pages throughout have a pencil or pen markings and circling certain music notes.